The first and foremost stop to make at any time of year is the Chimelong Paradise Amusement Park. 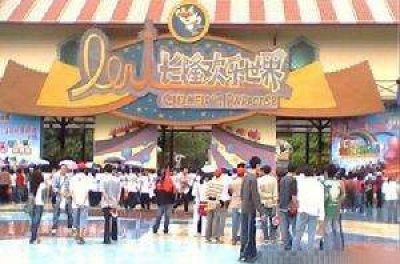 One of the largest theme parks in China, it has some of the most impressive rides in the entire world. Since it opened in 2006, the park now offers over 70 massive rides. Its biggest draw is an enormous rollercoaster featured in the Guinness Book of World Records for its 10 consecutive loops. The rides are the main draw, but the park also runs a water stunt show in which performers entertain with vertigo-inducing dives.